Dr. Bauer is an internationally recognized health futurist and medical economist. As an independent industry thought leader, he forecasts the evolution of health care and develops practical approaches to improving the medical sector of the American economy. He is widely known for his specific proposals to create efficient, effective health care through multi-stakeholder partnerships and other initiatives focused in the private sector. Dr. Bauer has more than 275 publications on health care delivery. 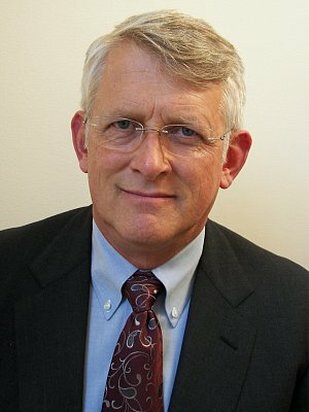 His latest books are Paradox and Imperatives in Health Care: Redirecting Reform for Efficiency and Effectiveness (2015) and Upgrading Leadership's Crystal Ball: Five Reasons Why Forecasting Must Replace Predicting and How to Make the Strategic Change in Business and Public Policy (2014). Previous books include Statistical Analysis for Health Care Decision-Makers (CRC Press, 2009), Telemedicine and the Reinvention of Health Care: The Seventh Revolution in Medicine (McGraw-Hill, 1999) and Not What the Doctor Ordered (McGraw-Hill, 1998). As a consultant, he has assisted hundreds of provider, purchaser, and payer organizations with strategic planning and performance improvement initiatives. He served as Vice President for Health Care Forecasting and Strategy for ACS, a Xerox Company, from 1999 to 2010. His own consulting firm, The Bauer Group, specialized in consumer-focused strategic planning and clinical affiliation agreements for multihospital networks from 1984 to 1992. In addition, Dr. Bauer was a full-time teacher and administrator at the University of Colorado Health Sciences Center in Denver from 1973 to 1984, where he held appointments as associate professor and Assistant Chancellor for Planning and Program Development. He also served for four years as Health Policy Adviser to Colorado Governor Richard D. Lamm. From 1992 to 1999, Dr. Bauer was a visiting professor in Administrative Medicine at the Medical School of the University of Wisconsin-Madison. He received his Ph.D. in economics from the University of Colorado-Boulder. He graduated from Colorado College in Colorado Springs with a B.A. in economics and completed a certificate in political studies at the University of Paris (France). During his academic career, he was a Boettcher Scholar, a Ford Foundation Independent Scholar, a Fulbright Scholar (Switzerland), and a Kellogg Foundation National Fellow. He is an honorary fellow in the American Academy of Nurse Practitioners. Dr. Bauer lives in Madison, Wisconsin, where he spends his spare time painting (conceptual art in acrylics) and playing the viola da gamba. ​As one of the few speakers who does not take political sides during battles to overhaul health care, Dr. Bauer presents a balanced, nonpartisan analysis of differences between reform's rhetoric and reality. He explains what is happening in Washington and elsewhere, what's likely to happen next, and what to do in response to the resulting uncertainties. This presentation is constantly updated to reflect the ongoing battles between competing interest groups, and it forecasts important changes that are still likely to happen. His informative, comprehensive speech begins with a "big picture" view and then focuses on implications and responses customized to the audience's specific interests. One of the country's most respected health futurists, Dr. Bauer presents an informative and entertaining introduction to the forces that define possibilities for medical care. He explains different methods for looking ahead and forecasts the future based on his in-depth analysis of the key trends-medical science, technology, demography and epidemiology, reimbursement, and organization of the delivery system. Implications of key trends and practical responses are presented with respect to the audience's special interests. This presentation is continually updated to reflect the latest changes in forces that shape the future. Dr. Bauer's insightful book by the same title. He shows why unprecedented financial circumstances can lead to failure for health care providers that pursue "business as usual." Dr. Bauer clearly explains how sound economic principles and proven management tools can minimize the chances of failure, and he reveals how providers can increase net revenue and provide the quality of care that payers and consumers are demanding at prices they are willing and able to pay. It shows why waste must be eliminated and how future-focused leaders can put their organizations on a positive path by reinventing the way they deliver health care. Mastering Chaos: Creativity 101 for Health Care's Daring Spirits - This unique program begins with a practical, entertaining overview of the key characteristics of innovation for leaders who want to create something new of value. It uses examples of art, poetry, science, music, and other creative endeavors to define the mind-set of people who make an enduring, positive difference in their respective fields. The presentation concludes with a detailed list of personal and professional steps that health care leaders can take to enhance their success in meeting the ultimate challenge of health reform -- reinventing the way health care is delivered.